What size connectors do I need for LeakyPipe? 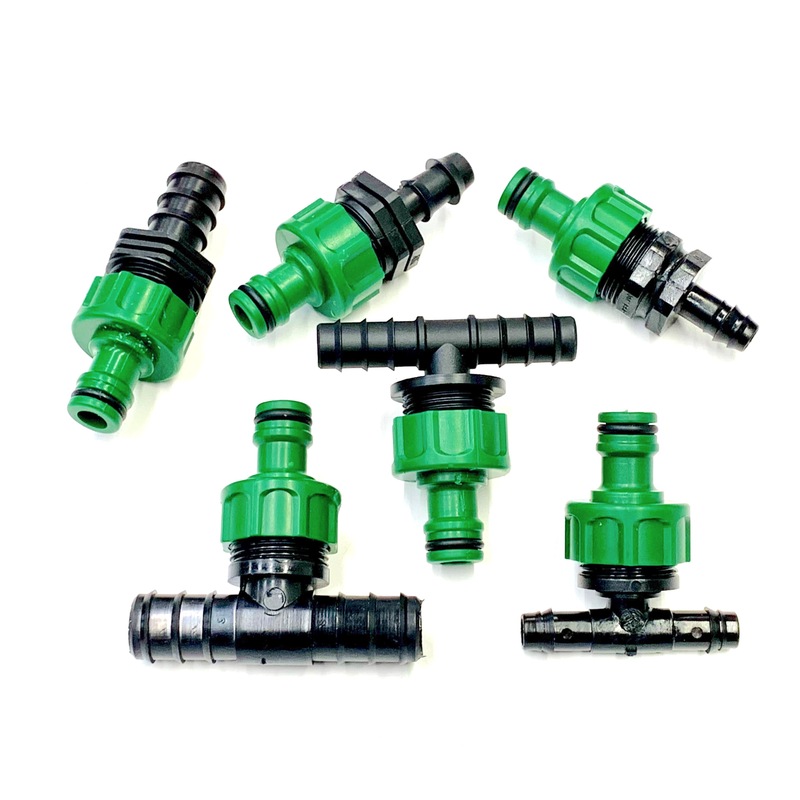 12mm connectors (also known as barbed fittings) fit all porosities of LeakyPipe. This is not really the exact diameter of the connector, it’s just what we call them as they fit the LeakyPipe. Normally, you don’t need to use anything to reinforce the connection, but rarely if you do have a unreliable connection, you could reinforce the joint with a cable tie or a jubilee clip or similar. Remember, 12 fits Leaky, 16 fits "garden hose" (& 16mm black supply pipe), 20 fits 20mm black supply pipe. (NOT 20mm "Blue” pipe - that needs compression fittings). Supply pipe is sometimes referred to as "L.D.P.E Polytube" or just "Polytube".